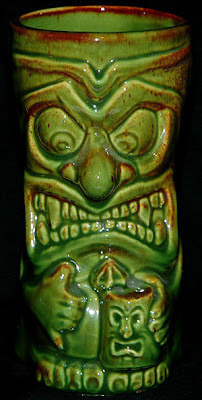 Living in England makes tiki collecting difficult (and even more expensive) but I guess that's part of the fun. I thought I'd post about some mugs I would like to have in my (admittedly small) collection. Designed by Squid and produced by Tiki Farm from 2001, Drinky is classed as retired which will make finding my very own that much harder. If you ever come to the U.S. and can make it to Ohio, I always have tiki items. I'm sitting on over a dozen mugs and just as many hapa wood tiki statues. 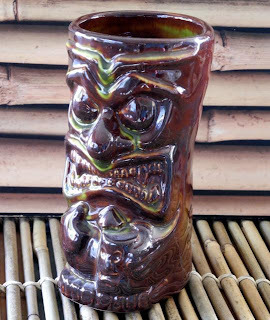 Several of my items are from teh famed Kahiki from here in Columbus, OH. Or you can get in touch with me (neonroadtrip). We follow each other on Twitter.